Raykwon Hunt Invitational Basketball Tournament crowns a Champion on and off the court. The inaugural Raykwon Hunt Invitational Basketball Tournament took place this past Sunday at Mastery Pickett High School. The event was organized by Mastery Pickett athletic director and MPAA Commissioner Mike Poploskie. The event is a celebration of the short life of Raykwon Hunt. 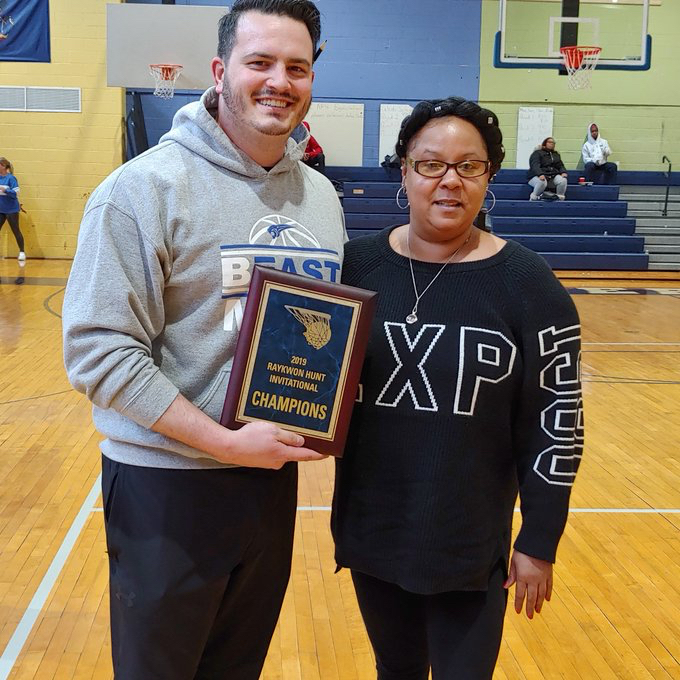 Pictured above is Mastery Pickett girls middle school basketball coach John Lalli accepting the Championship Plaque from the mother of Raykwon Hunt.